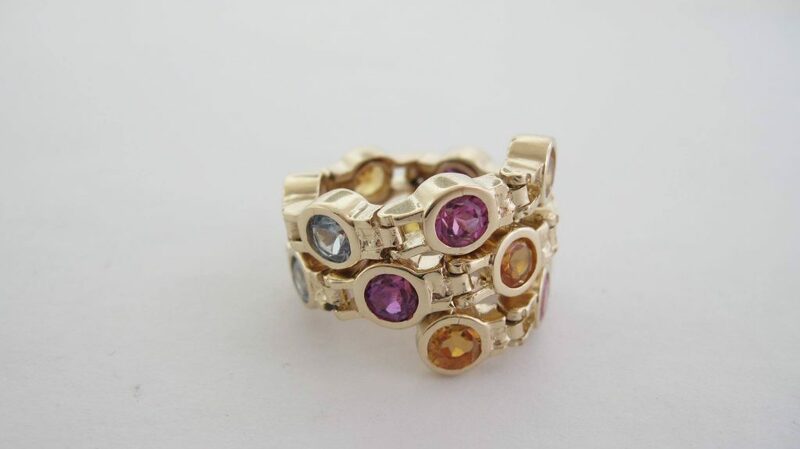 Grab-a-Gem at Koop Diamond Cutters THIS WEEKEND! 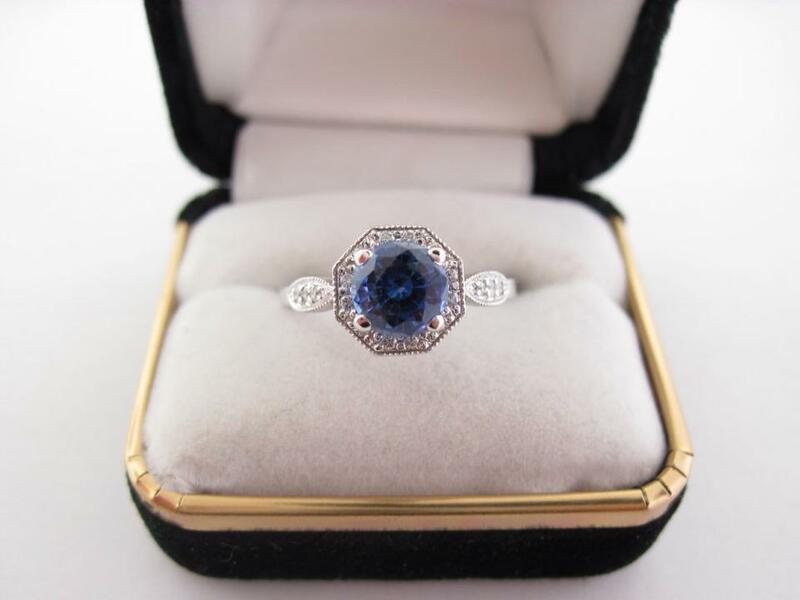 Every year, Koop Diamond Cutters has a cool event called the “Grab-a-Gem.” Here’s the idea: they have a ton of different gems (including a 1.07 ct Diamond, 22.15 ct Aquamarine, and 1.26 ct Sapphire! ), you buy a chance for $25 and you’re guaranteed to get a gem with your pull… possibly one of the big ones! Pretty cool concept, eh? Well, this year, the event got even better because the 2017 Grab-a-Gem is set to benefit the NICU at Cincinnati Children’s Hospital! Woohoo! So, keep in mind when you’re buying your chances that 5% of all sales will be donated to the NICU at Cincinnati Children’s Hospital in honor of staff who helped support owner, Justin Koop, and family after their daughter Audrey spent the first few weeks of her life in the NICU. The event will be held on May 12 from 9 am to 6 pm and on May 13 from 9 am to 4 pm. Oh, and if you’re unable to attend, call and do a draw over the phone and have your winnings mailed to you! The Barre Code Opens April 22! 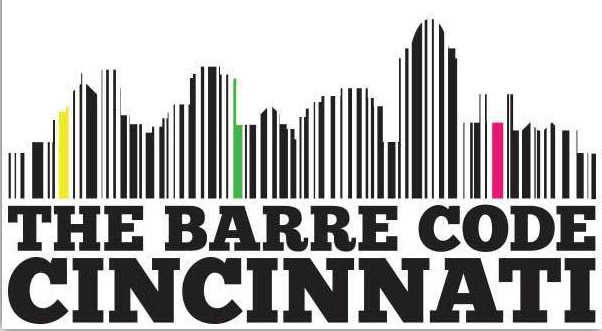 A few months ago, we caught wind of (and of course wrote about) an exciting new fitness studio would be making its way to downtown Cincinnati… The Barre Code! Essentially it’s a one-stop shop for cardiovascular conditioning, strength training, and restoration. The Chicago co-founders, Ariana Chernin and Jillian Lorenz, developed a full-bodied program six years ago, determined to change the way women perceive their own strength: the focus is always placed on what we have to gain, not lose. And women are loving it! In fact, it was named by Self Magazine as one of the best workouts in the country! But even though the concept was started in Chicago , it’s still very much locally owned and operated! TBC Cincinnati is owned by downtown Cincinnati resident Michelle Ziegler. She has more than 15 years of dance experience and discovered The Barre Code while living in Chicago in 2013. She quickly felt at home, loved the classes, instructors and wide range of formats. In 2015, she auditioned and was selected to train as an instructor. Since as early as she can recall, aspiring for what she “wanted to be when she grew up”, Michelle has always had a strong desire and passion to run her own business one day. That one day is now! It wasn’t until she became part of The Barre Code family that she recognized the unique opportunity to join the franchise network and make her lifelong dream a reality. She’s mom to a 6-month old daughter and is extremely proud to be raising her family in Over-the-Rhine. So, make sure you check out TBC Cincinnati soon to open, located at 615 Main Street, just a few blocks from Fountain Square and on the streetcar line. It’ll be perfect for downtown residents and professionals looking to sneak in a workout before work, during lunch or after a busy day! To learn more about The Barre Code, click here. You can also follow the Cincinnati studio on Facebook. Get Your Gal Pals Ready! Men Show Live March 25! Clear your cals and grab your gals… a fun girls night out is just around the corner as Men XXL Live comes to Cincinnati at Energy Night Club on March 25! They incorporate participatory routines (including one inspired by 50 Shades of Grey books/movies, for all you fans out there!) 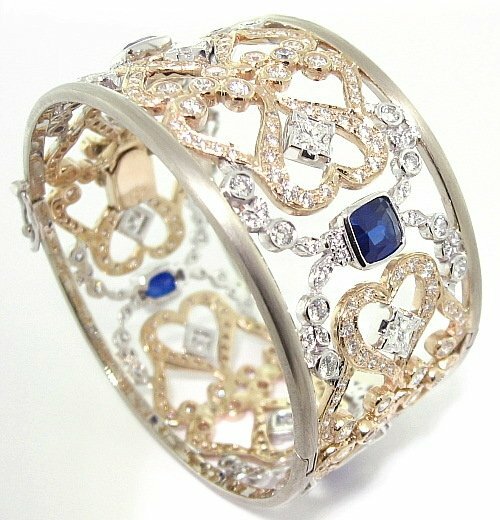 and it’s for women of all ages and desires. What I love about their shows is that they’re always done with tastefulness and class, but it’s always a SUPER fun-filled ladies night experience! So, be prepared to not only sit back and watch the choreographed, themed routines, but also expect to get a more “hands-on” experience! The event itself is from 8pm-10pm, but doors open at 7pm. Click here to get your tickets! Click here to like them on Facebook — www.facebook.com/menshowlive — and check out these promo videos for a sneak peek of what you’ll see at the show! 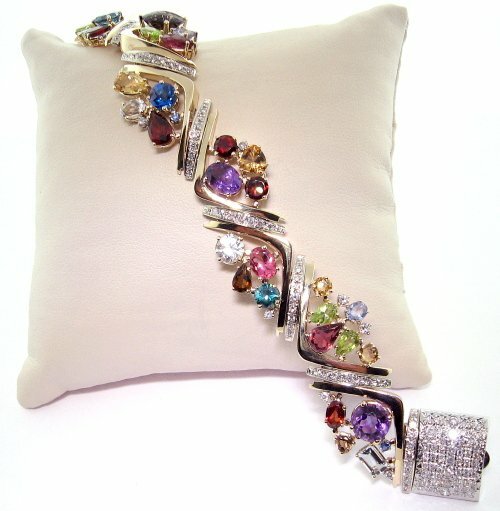 Sneak Peek: Cincy Chic’s 10th Anniversary Event! Here’s an exciting sneak peek of our 10th Anniversary event venue (the amazingly remodeled Memorial Hall in OTR) … it’s going to knock your socks off! Can’t wait to pack this place with hundreds of Chic’ers, live music, runway fashion show, 20+ pop-up shops, light bites, and drinks to toast to a fabulous decade of Cincy Chic (and many more to come!) Hope to see you there Jan. 20! Learn more & RSVP at http://CincyChic10.eventbrite.com! The holiday season can officially begin now that the “Frisch’s Big Boy Presents The Nutcracker” is here! 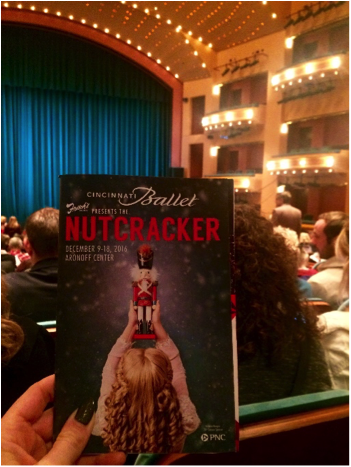 On December 9, we were invited to attend the opening night of the Cincinnati Ballet’s performance at the Aronoff Center for the Arts. Such an AMAZING experience was provided by Frisch’s! 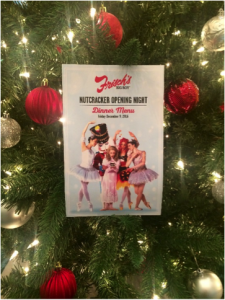 From the very first performance of The Nutcracker in 1974, Frisch’s Restaurants has been the Ballet’s primary sponsor. It is one of the longest-lasting examples of corporate sponsorship in American arts history. 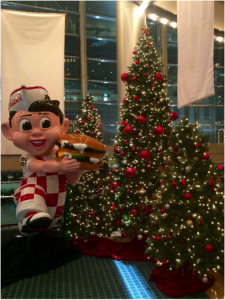 The evening began at the flagship Frisch’s Big Boy restaurant in Covington where an exclusive opening night menu was served. For the first course, our plates were filled with juicy roast beef, gravy smothered turkey and fried chicken, mountains of mashed potatoes, freshly baked dinner rolls and home-style meatloaf. Chef Greg Grisanti prepared the meal and was most excited to unveil the holiday twist that was put on their timeless, classic dessert. For the first time since the signature Hot Fudge Caked debuted in restaurants in 1970, Frisch’s best-selling dessert is now available in a special holiday flavor. Grisanti collaborated with the local company Velvet to custom make the peppermint flavor in the ice cream which was served with the rich chocolate cake. Whipped cream and crushed pieces of peppermint complete the dish and puts the perfect seasonal twist on the iconic classic. This holiday edition of the dessert will be available for a limited time, through February 17, at Frisch’s Big Boy restaurants. 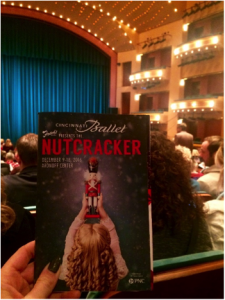 Once the delicious dessert had been enjoyed with a cup of hot chocolate, we were off to the Aronoff to attend the opening night of Cincinnati Ballet’s performance of Frisch’s Big Boy Presents The Nutcracker. Christmas trees and garland ornamented the grand entrance hall where friends and families gathered around Big Boy to take photos. The performance was riveting. Each act was filled with color, beauty and grace as the Cincinnati Symphony Orchestra played the music that accompanied the dancing. The ballerinas on stage were enchanting, and the audience was spellbound by the show. 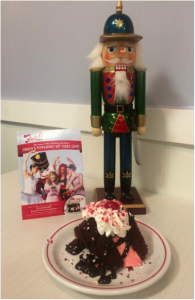 The Nutcracker is a holiday classic just like the new Peppermint Hot Fudge Cake. Frisch’s Big Boy Presents The Nutcracker runs December 9-18 and you can get the seasonal cake through February 17. Richter & Phillips – New Location! I heard Richter and Phillips‘ new location just opened (now on the OTHER corner of 6th & Main downtown), so we checked it out and made this virtual tour for you to see it too! 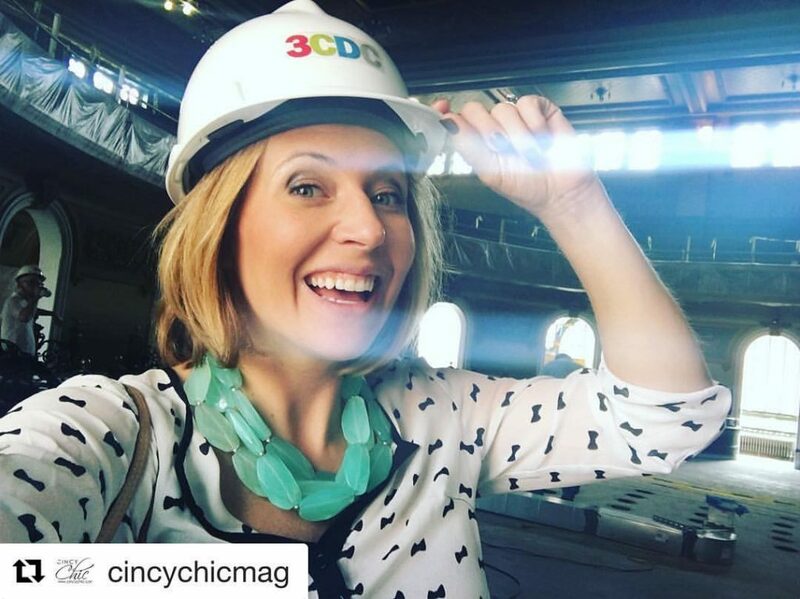 Cincy Chic’s 2016 Seasonably Chic Showcase! SOOOO excited! It’s my favorite event of the year! Enjoy a mimosa as you shop at 40+ of Cincinnati’s best businesses for you and everyone on your list, have the kids decorate gifts, see a fashion show, get a free chair massage, and leave with everything wrapped and ready for the holidays (yes, all attendees get complimentary gift wrapping and a swag bag!) It’s Cincy Chic’s annual Seasonably Chic Showcase on Nov. 5 and you’re invited! Get in FREE with a canned good for the Freestore Foodbank! RSVP here — http://2016scs.eventbrite.com — and check out more details below! Shop for everyone on your nice list with the best local boutiques and vendors – all under one roof! Bring a canned good for the FreeStore FoodBank to get free entry, a swag bag, and complimentary gift wrapping! Also enjoy refreshments, free 10-minute back massages, an interactive ornament decorating area for kids, and a freeze modeling fashion show showcasing the latest winter trends! Plus, more than $3,000 in prizes randomly awarded to attendees! Convenient $2 parking available at Garfield Garage located next door on 9th Street. 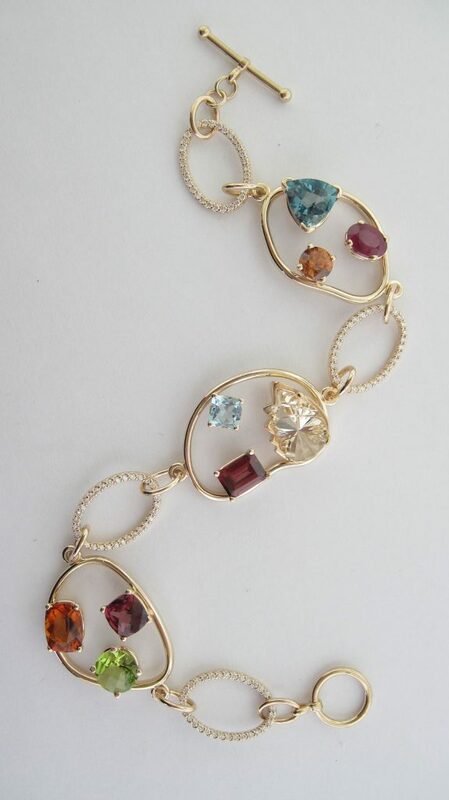 Enjoy: Wine tastings, local boutique shopping, and a freeze model fashion show dripping in the season’s latest custom design jewelry trends and Curate Boutique clothing. Each attendee will receive a complimentary Cincy Chic tote bag filled with glam goodies! Bras with Flair on the Square THIS Friday! Today is the deadline for everyone to get in their decorated bra donations for this Friday’s Bras with Flair on the Square event! And judging from the hundreds that have come in JUST TODAY I’m blown away! You must must must come down to Fountain Square this Friday to see all of them, plus enjoy light bites, drinks, shopping, swag bag and fashion show! Event details are below! See you soon! Celebrate Cincy Chic’s 9th Annual Bras with Flair on the Square! Hundreds of decorated bras will be flying high on Fountain Square! Vote on your favorite (one voter will win a $500 prize pack! ), while enjoying music, drinks, shopping, and a runway fashion show with a breast cancer survivor spotlight. $10 Ticket includes runway seat, light bites, and swag bag – All proceeds benefit Susan G. Komen for the Cure. BROUGHT TO YOU BY Cincy Chic, the only online lifestyle publication for women in Greater Cincinnati.